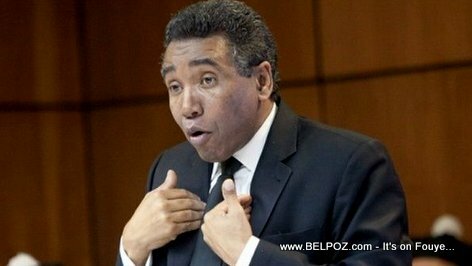 Dominican Republic senator Félix Ramon Bautista Rosario, accused of making millions of dollars in Haiti from reconstruction projects after the earthquake that he never completed, has been sanctioned by the Trump administration for engaging in corrupt acts related to the rebuilding of Haiti. All assets that Felix Bautista owns within U.S. jurisdiction will be blocked, and U.S. citizens are banned from doing business with him, according to the Miami Herald. Companies owned by Bautista receives lucrative contract to build infrastructure in Haiti after the earthquake, these projects were either not completed, done cheaply, or not even started. In one example, Bautista's construction firm Hadom was awarded a $14.7 million contract and was paid $10 million up front to construct the Ministry of Foreign Affairs, one of 40 government buildings that crumbled during the earthquake. The building was never built. « The Queen of Spain to build a hospital for Haitians, IN the Dominican Republic??? O o!! Sa k-ap pase laa? Pou kisa soudènman tout moun santi yo konsène nan zafè korupsyon ann Ayiti? Kisa yo konte fè ak sitirè yo?